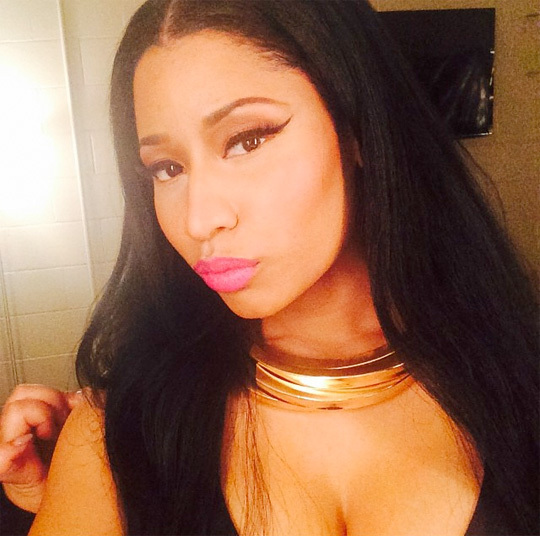 After only being released on Monday, Nicki Minaj‘s “Anaconda” single has reached #1 on the iTunes singles chart. This is an amazing achievement for Nicki, because no other female rapper has ever had the #1 spot with a solo single. Another achievement that Minaj accomplished was being the first female rapper to have two lead singles at #1 and #2 on iTunes after her collaboration with Jessie J and Ariana Grande called “Bang Bang” sat at the #2 position. Congratulations to the Young Money Barbie! UK magazine, i-D, recently caught up with the Young Money Barbie and asked her 10 questions that you can read below. Nicki Minaj discussed growing up in Trinidad, how her childhood has affected her, loving the British accent, working with Kanye West, being a female rapper, what she wants for herself in the future, Drake being her ideal man, Rihanna being her ideal woman, and more! Carrying on with her interview with MTV, the Young Money Barbie talks not wanting to see herself being labeled in the “female rapper” category anymore and more in the “rapper” categories instead. Nicki Minaj explains that she has worked with the greatest rappers in hip-hop and has held her own on songs with them, such as “Monster” with Kanye West and Jay-Z, “Roman’s Revenge” with Eminem, “Champion” with Nas, Young Jeezy and Drake, and “Mercy” with Lil Wayne. You can watch the interview after the jump below! Earlier this week, Nicki Minaj sat down with Queen Latifah for a taping of her “The Queen Latifah Show“. Nicki made an appearance on the talk show to promote her new clothing line. You can watch a sneak peek of their interview in the clip below were the Young Money Barbie and Latifah give props to each other. The full interview will air on Tuesday, October 22nd.